A Feb. 17, 1968 back view of Main St., including the Parr Theater. This photograph was taken on Catawba St. and shows the 200 block of S. Main St., looking east. A Lancaster Telephone Co. truck with a flashing light mounted to the roof can be seen at left. A Parr Theater sign can be seen in the photograph and reads 'NOW PLAYING Cool Hand Luke All Week'. Cool Hand Luke starred Paul Newman. At right in distance, a man can be seen working near a coal truck, most likely making a delivery to the theater. 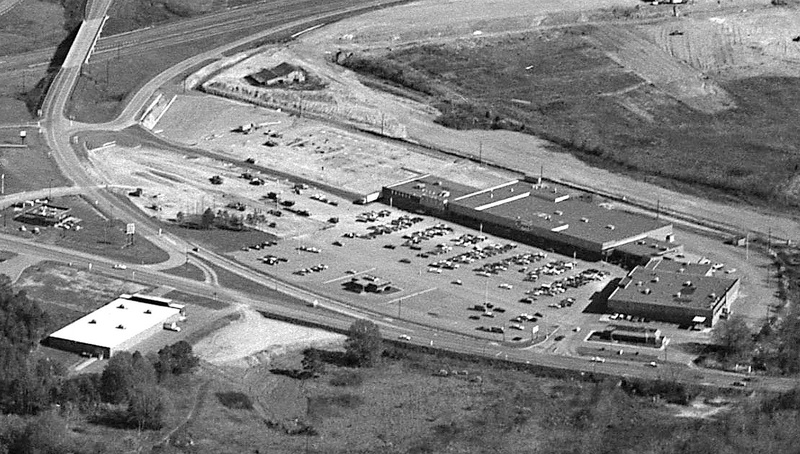 The former Lancaster High School (center right) is seen in this Jan. 1965 aerial photograph facing north. Rice School can be seen below the high school to the left. The present day vocational school (location to left of track) has not been built yet. At bottom of image are houses along Normandy Dr. The LHS baseball field and North Elementary have not been constructed yet, as seen in top of photo. The former Lancaster High School (now the Wylie St. Pool) is seen at the intersection of Wylie and York streets in January of 1965. By this time, the newer Lancaster High School, which was demolished in 1993, was being used as the high school. 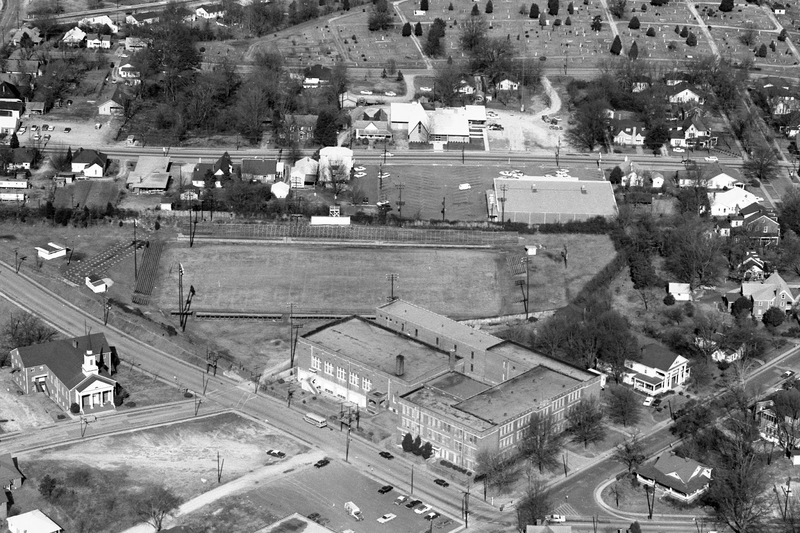 Calvary Baptist Church can be seen at left while Meeting St. can be seen above the football field. Thanks to Hyatt Law for being one of the sponsors that makes The Archive possible. 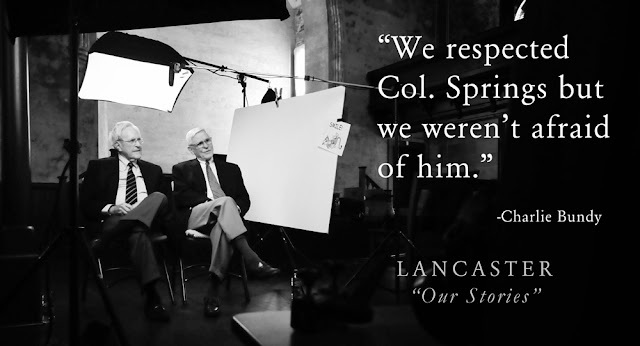 Episode 2 "The Strategists" is now available as part of the Lancaster "Our Stories" documentary series. 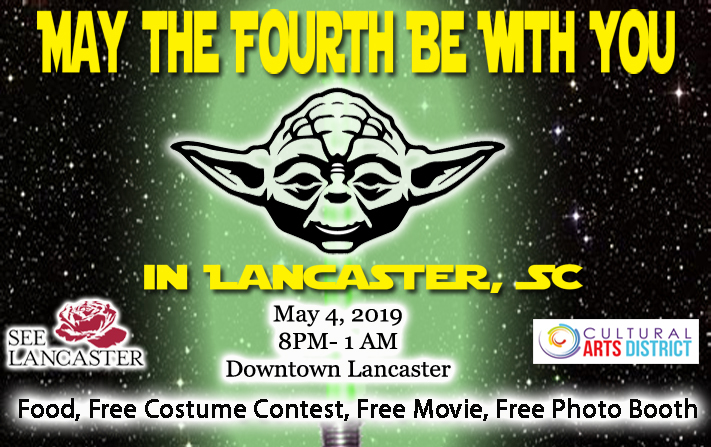 It features Charlie Bundy and Bubber Gregory, who helped grow Lancaster into a thriving town during the economic boom following WW2. Your perspective on your hometown will never be the same after watching it. Columbia, SC – Continuing its documentary series on Lancaster County’s history, the second episode of Lancaster “Our Stories” airs this Tuesday, March 5 at 8:00 PM. Episode 2, titled “The Strategists”, features longtime friends Charlie Bundy and C.D. “Bubber” Gregory sharing stories about growing Lancaster during the economic boom following WW2. Bundy and Gregory founded The Lancaster Chamber of Commerce and USC-Lancaster when they were only in their 20s in the 1950s. The two share memories about how they almost never became friends, what it was like to do business with Col. Springs and their strategy for turning a village into a thriving town. “Viewers will have a new perspective on their hometown as they watch these two men talk about launching a chamber of commerce from the ground up at such a young age,” said Lancaster native and Columbia photographer Travis Bell, who directed the series. For the best experience, viewers can watch on their HDTV with streaming devices (like Roku and Apple TV) that have the YouTube app. To view Episode 2, launch the YouTube app and search for The Lancaster Archive then select Episode 2. Episode 2 of Lancaster "Our Stories" is coming soon!